Ok, so the team over at tinyBuild are pretty happy about crossing the threshold of 300,000 units sold of their indie hit Punch Club. Perhaps more news worthy however, is the fact that Alex Nichiporchik, the CEO of tinyBuild, points out the number of times the game has been pirated as well. The numbers are staggering and he included all sorts of information as to WHO the guilty parties are. Every game gets pirated, we know that, but when pirating hits an inexpensive game it goes to show just how cheap some gamers can be. Punch Club is a measly $9.99. He dives into how the stats changed when localization was added as well. When Portuguese Brazilian was added there was a huge leap in piracy. The stats below show the piracy on launch day of the Brazilain localization. In the next pie chart we can see a few countries who are all being targeted for their thieving ways. 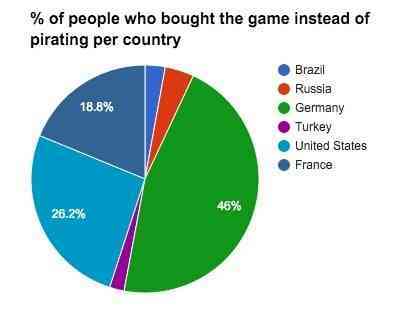 While Brazil, France and the United States show bigger chunks than the rest, it still points out that theft always happens before legit purchasing and that is nothing short of shameful.